Japan-headquartered Mitsubishi Rayon will construct a new plant at Vilshofen in Bavaria, Germany, for producing SMC (Sheet Moulding Compound) intermediate materials in order to reinforce and expand its carbon fibre and composite materials business in Europe. The factory is expected to commence operation in September 2016 with annual production capacity of 1,000 tonnes, to be expanded up to 6,000 tonnes as demand further increases in the European market. After completion of the expansion, Mitsubishi Rayon's overall production capacity will grow to 9,000 tonnes, triple the current production capacity at its Toyohashi plant in Japan. 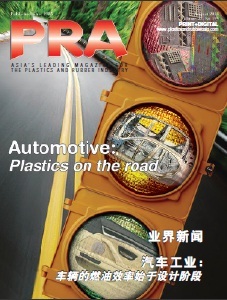 Against the backdrop of tighter fuel efficiency regulations in the European automobile market, car manufacturers are actively moving toward vehicle weight reduction, and the full-fledged adoption of carbon fibre-reinforced plastic (CFRP) with its high strength and light weight is being accelerated, not only for luxury cars, whose production volume is limited, but also for mass-produced cars. Under those circumstances, Mitsubishi Rayon has developed and turned into products high-performance large-tow carbon fibre - suitable for automobile applications, and quick-cure prepregs - intermediate materials with which elaborate exterior panel parts can be press-moulded in a short period of time. 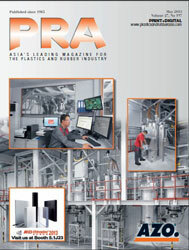 In developing its business in Europe, the company has developed the production base for CFRP-made automotive parts and intermediate materials by acquiring Wethje Carbon Composites and TK Industries, and has explored the needs for carbon fibre and composite materials for automotive applications by establishing the CF Marketing and Technical Centre and by increasing local marketing staff. The construction of this new SMC production plant is aimed at satisfying the needs for high-end solutions for luxury cars as well as those for solutions for mass-produced cars that are low-cost and also technically easily accessible. SMC is a type of intermediate material of fibre-reinforced plastic (FRP). This sheet-shaped material with fibres several centimeter long dispersed in resin is press-moulded into automotive parts. Compared with prepreg intermediate materials (carbon fibre fabric impregnated with resin), SMC can be used for moulding complicatedly shaped parts in a short period of time. With its uniform mechanical characteristics similar to metal, lighter weight and higher strength can be achieved rather easily by using carbon fibre and utilising existing know-how on parts design. Until now, Mitsubishi Rayon has developed and turned into products high-performance large-tow carbon fibre and prepreg materials for high-cycle press moulding (PCM). By adding SMC intermediate materials, it says will enhance its capability and work towards expanding its carbon fibre and composite material business in Europe.